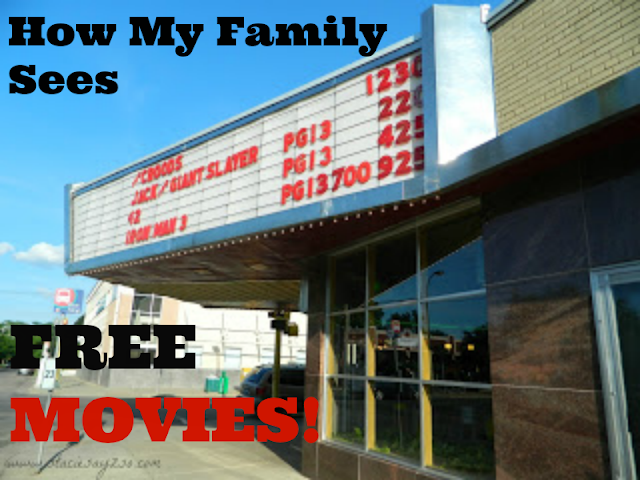 Want to See Free Movies? Here's How Stacie Does It! Going to the movies is a lot of fun, but there's nothing more enjoyable than seeing that movie for free. Am I right about it? I mean it can easy set you back $60 to take the whole family, let alone buy popcorn and drinks. So you know your girl had to find another way. It's so easy, but it does require a bit of work, time, and patience. *First, sign up to get emails from the following places. Check your emails frequently because they will send you codes to redeem movie passes for two to four people to attend a movie screening. *Check your local newspapers and business. Sometimes they get movie passes and give them out first come, first serve. *Radio stations have contests as well. Check their websites and enter online. *Film Festival organizations also get movie tickets so be sure to check them out too. Examples would be Twin Cities Film Festival, etc. Be prepared! You sometimes will have to wait in line 2 hours before the movie actually starts, so be prepared. Bring snacks, magazines, homework, whatever. Go with friends so you can catch up with each other while you wait. Just remember, even if you have a screening ticket, all seats are first come, first serve. If you're late, you'll miss out! I know some of you may be thinking, "Ain't nobody got time for that!" I hear ya, loud and clear. Don't worry, I've got you covered. *Regal Cinemas Crown Club also has a program where you can earn free admission, popcorn and drinks. * And don't dismiss your local dollar show. This is still one of my favorite ways to see a movie. Got any other ideas for seeing free movies? Do tell! I doubt they have screenings in our small town but, when I lived in SF / Bay Area they had them & we would always have fun while waiting. Great tips! Pinned to my movie board. Aw, that's too bad. Free movies are the best! Thanks for pinning, Theresa! The cost is the very reason I don't go to the movies... My kids aren't missing out because they go all the time with Disneyland dad. There isn't a dollar theater near here (Hmmm, same as the ALDI. Where I used to live was one pretty close). I'm going to check out what you've recommend... Great tips.